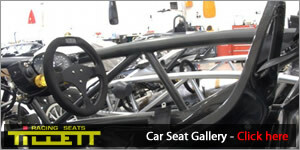 Tillett Racing Seats would like to inform its trade customers of the new trade area available. 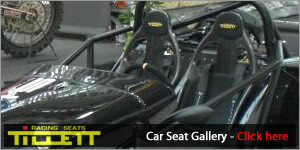 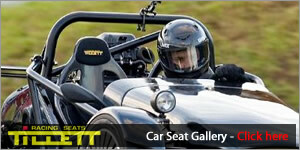 Car seat customers can now view the new Car Seat Gallery, which helps identifiy which seat is correct for your vehicle. 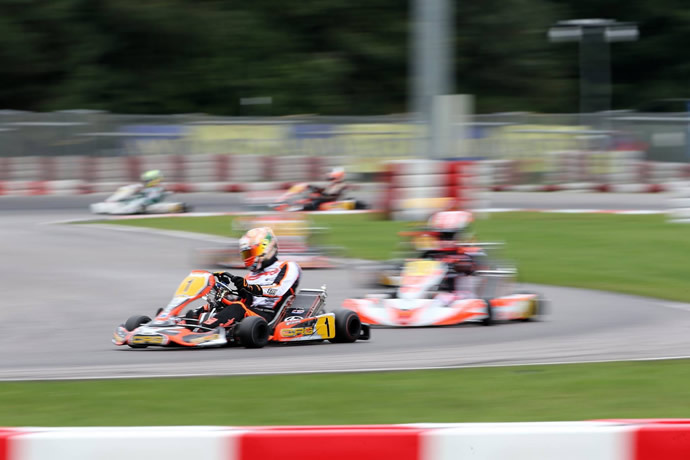 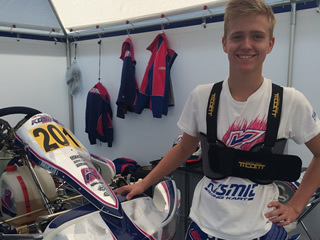 Paolo De Conto wins the 2017 CIK-FIA World KZ karting Championships using a T11t Tillett seat in his CRG chassis with a Tillett P1 rib protector. 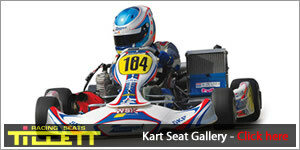 Our most recent products added to our online shop. 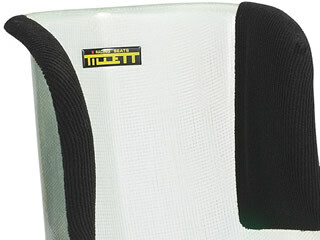 Check back for new releases. 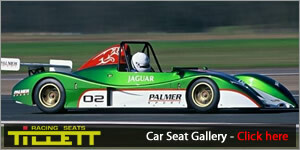 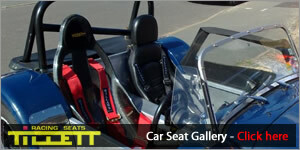 Developed over the last 31 years, the Tillett range of racing seats has made a significant contribution to kart handling as well as being a major benefit to karters' rib cages. 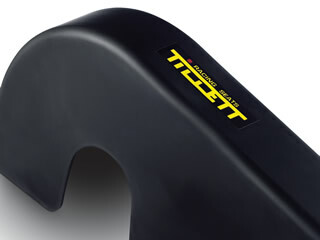 The T11 seat is now made with a new process that gives all the rigidity choices but with superior quality and strength. 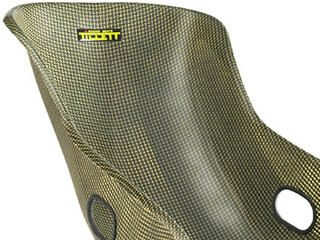 Tillett rib protectors reduce the pounding inflicted by high G lateral cornering forces. 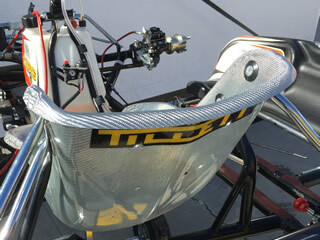 These designs are continually being perfected to reduce fatigue and so significantly increase concentration later in the race. 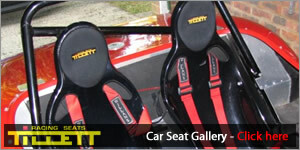 Tillett car seats are our newest range of products. 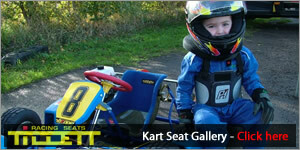 They are designed using the years of experience gained making kart seats with little or no padding, these lightweight seats bring car drivers that "seat of the pants" feel of a racing kart. 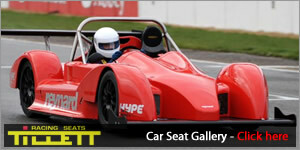 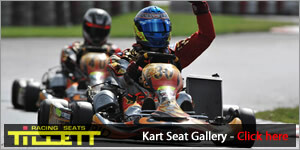 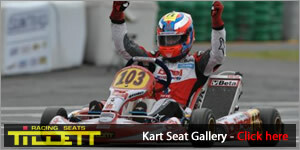 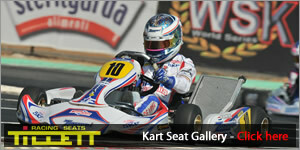 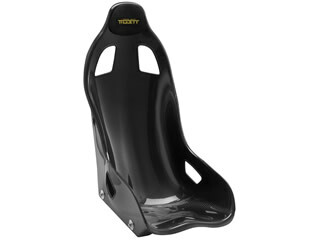 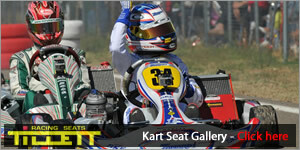 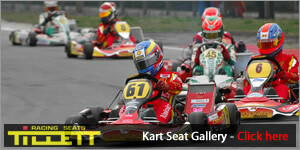 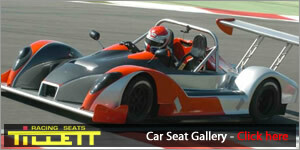 The Tillett carbon fibre epoxy kart seats only use materials to achieve performance and weight advantages. 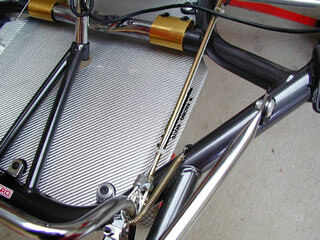 If the material is there, it is there for a reason and not just for aesthetics. 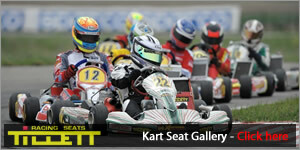 This section contains Chainguards, Ribcage rib protection panels, Carbon fibre floor trays, the Rainmeister, the T board kart seat fitting tool and many other accessories for karts. 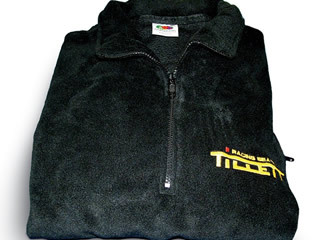 Tillett embroidered fleeces, hooded tops, t-shirts and hats.